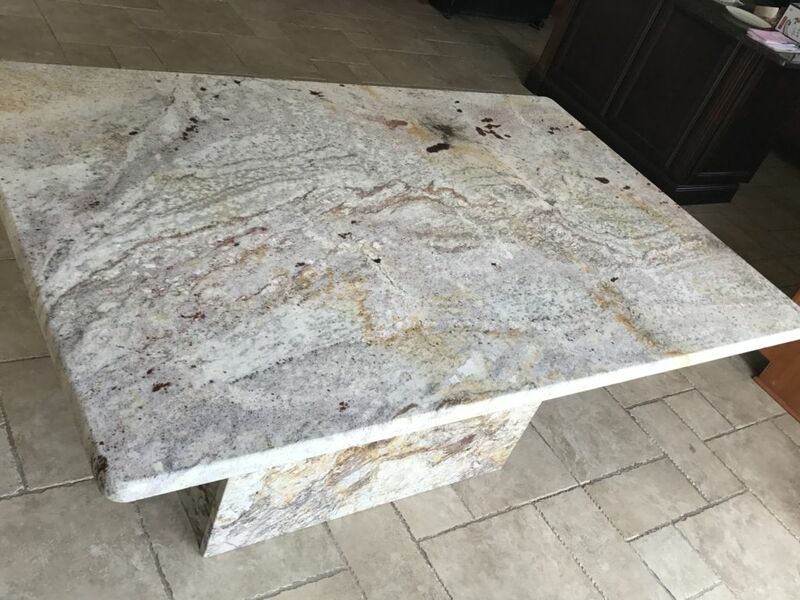 Dream Bordeaux, Exotic Granite table and base with beautiful Waterfall edge. It’s another amazing exotic granite color of many imported exotic colors at our warehouse in very reasonable price ( Unbeatable low price ). Let our professional team of experts show you what can they do when it comes to Granite or any other stone project for your home or business. This table was delivered & installed to the site/remodeled home located in Shelby Twp.